One of the communal areas at Casa Verdi. Eyebrows went up when a New York Times profile suggested that legendary opera soprano Renee Fleming would be retiring. Luckily for fans, that turned out to be wrong. But if Fleming ever does start to ponder retirement, she may want to consider a move to Milan, Italy. That's the home of Casa Verdi, a retirement community for opera singers and musicians Founded by Italian composer Giuseppe Verdi more than a hundred years ago. Rebecca Rosman paid a visit and sent this report. REBECCA ROSMAN, BYLINE: Lina Vasta is a soprano who spent her career performing in Italian operas around the world. ROSMAN: Twenty years ago, she settled here at Casa Verdi. UNIDENTIFIED TRANSLATOR: She doesn't want to tell me how old she is. ROSMAN: The soprano says singing makes her sorrows go away. Vasta came to Casa Verdi with her husband when they both retired from singing. Since he died, she says this is all she has. UNIDENTIFIED TRANSLATOR: There's a very nice garden at Casa Verdi. She said that, like, nothing is missing here. It's perfect. ROSMAN: Italian composer GIUSEPPE VERDI founded the Casa di Riposo per Musicisti, simply known as Casa Verdi, in the late 19th century. BIANCAMARIA LONGONI: In Italy, Verdi isn't considered even today only a composer, only a musician, but a kind of national hero. ROSMAN: Biancamaria Longoni is the assistant director of Casa Verdi. We're standing in front of Verdi's crypt. 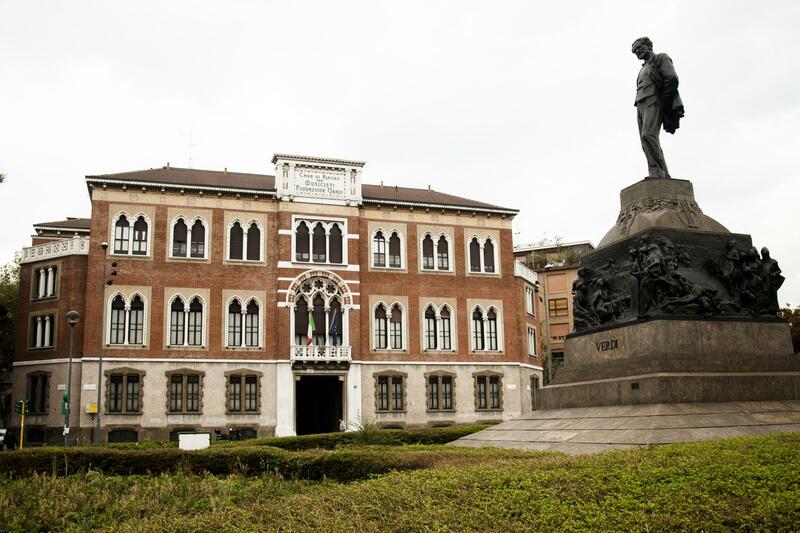 Verdi is buried at the retirement home alongside his second wife, Giuseppina Strepponi. LONGONI: He used the music, he used the operas to give voice to people - to humble people, to modest people, to poor people, to dominated people. ROSMAN: Many of Verdi's own former colleagues found themselves living in poverty towards the end of their lives. At that time, there were no pensions for musicians in Italy. LONGONI: Verdi perfectly knew this situation. And when he was about 82, he wanted to use his patrimony to make a rest home for his colleagues less favored by fortune. ROSMAN: Using his own fortune, Verdi built the retirement home for opera singers and musicians, a neo-Gothic structure that opened in 1899. Verdi died less than two years later, but he made sure the profits from his music copyright kept the home running until the early 1960s, when they expired. Today, guests pay a portion of their monthly pension to cover basic costs like food and lodging, while the rest comes from donations. Bissy Roman is a maestra who has been living at Casa Verdi for nearly three years now. BISSY ROMAN: I don't have family. I don't have sons. I have Casa Verdi. I have here. I'm very grateful because, if not, I will be lonely and very, very upset. Here, I cannot be upset because there are a lot of people around. We are talking. We have music. We have guests. ROSMAN: Guests of all ages. 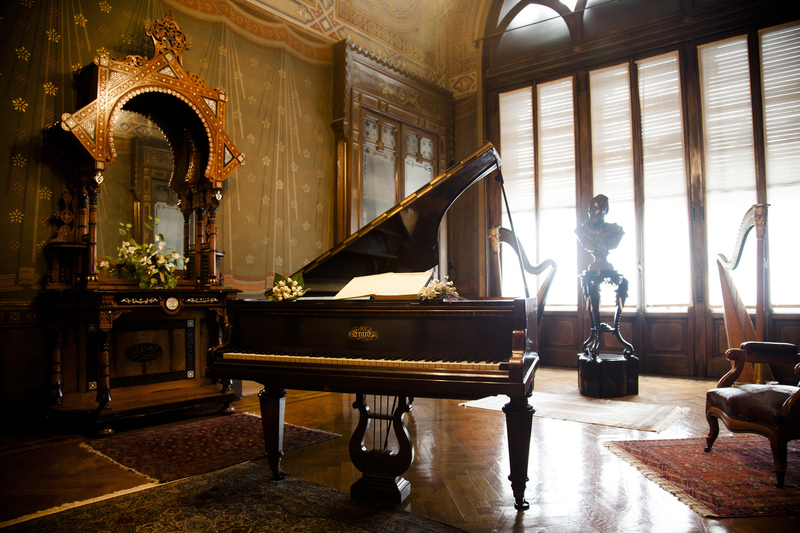 Casa Verdi has an extra 20 rooms set aside for conservatory students aged 18 to 24. ROSMAN: Today, the 93-year-old Romanian born Roman is giving voice lessons to a young woman from China, one of the six students she sees on a weekly basis. UNIDENTIFIED SINGER #1: (Singing in foreign language). ROSMAN: The sounds that fill these hallways are what make Casa Verdi feel sacred, like moments that belong in a time capsule. ROSMAN: Armando Ariostini is a baritone in his early 60s. He comes to Casa Verdi every Wednesday to visit the guests, some of whom are his former colleagues. ROSMAN: And while Ariostini himself is still several years away from retirement, he says he knows exactly where he'll be hanging up his hat once he leaves the opera stage for good. For NPR News, I'm Rebecca Rosman in Milan, Italy. UNIDENTIFIED SINGER #2: (Singing in Italian). Transcript provided by NPR, Copyright NPR.